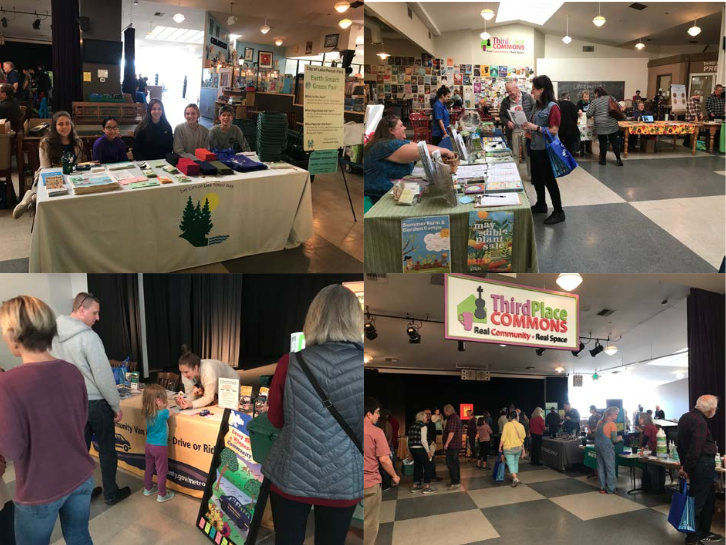 On Saturday March 30, 2019 Lake Forest Park’s local organizations and community partners hosted educational booths like local garden clubs, Brown Bear Car Wash, Republic Services, and more. This year’s giveaways were reusable cloth napkins, reusable grocery bags, kitchen compost bins and bags, vegetable seeds, educational brochures, Chinook Books and more. The Green Fair is funded by King County’s Local Hazardous Waste Management Program and Waste Reduction and Recycling Grant, put on by the City, and hosted at Third Place Commons. The fair is a favorite by many booth organizations and community members and we are already looking forward to next year!